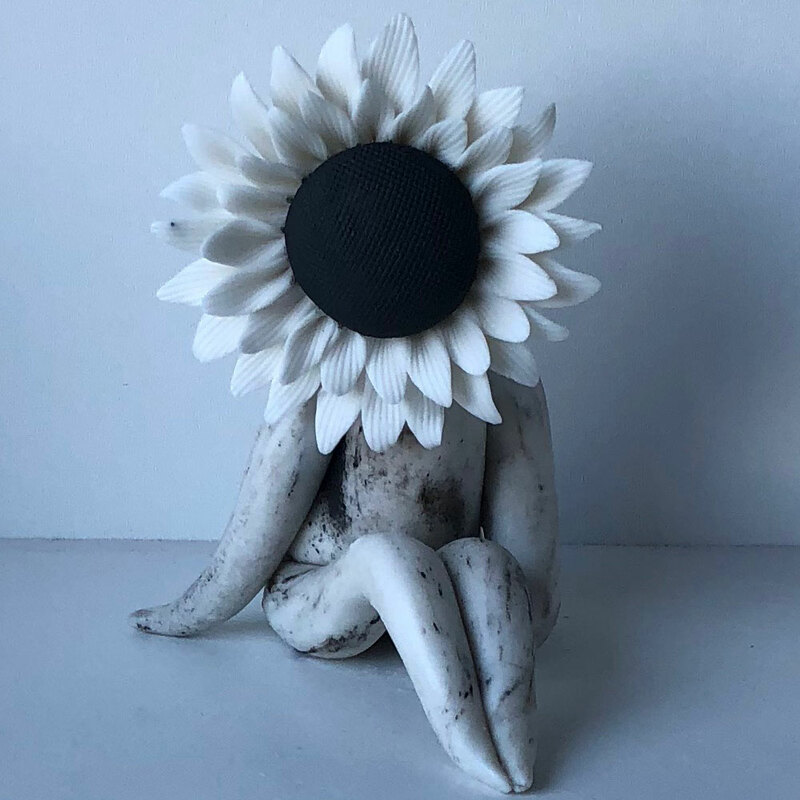 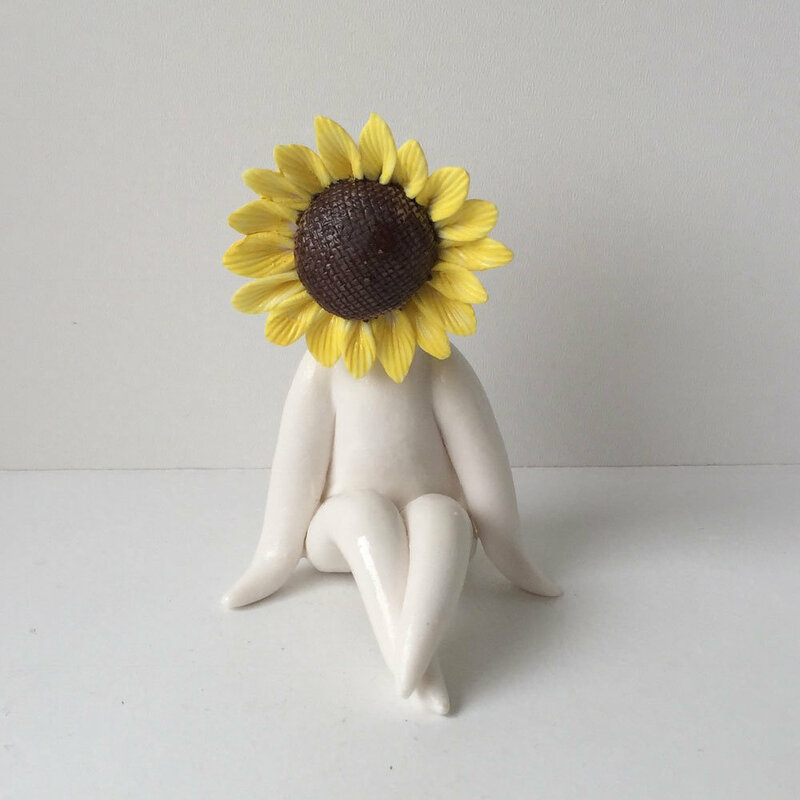 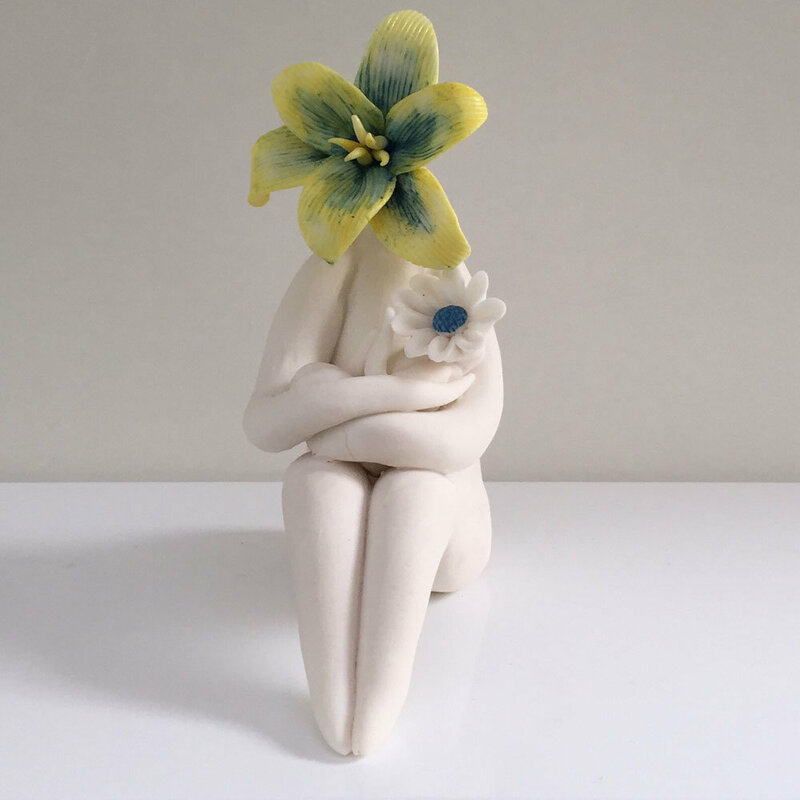 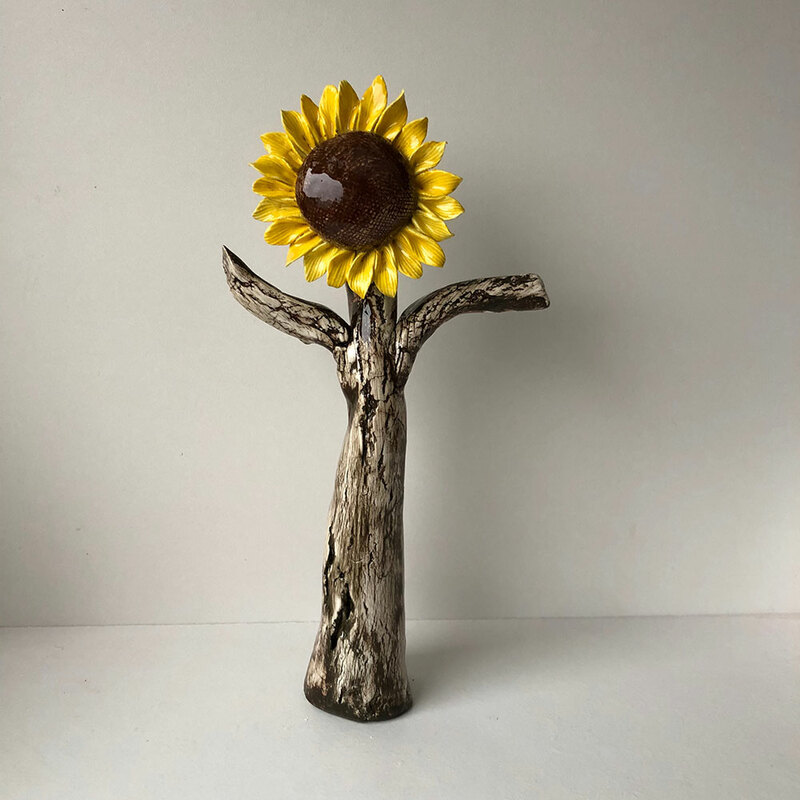 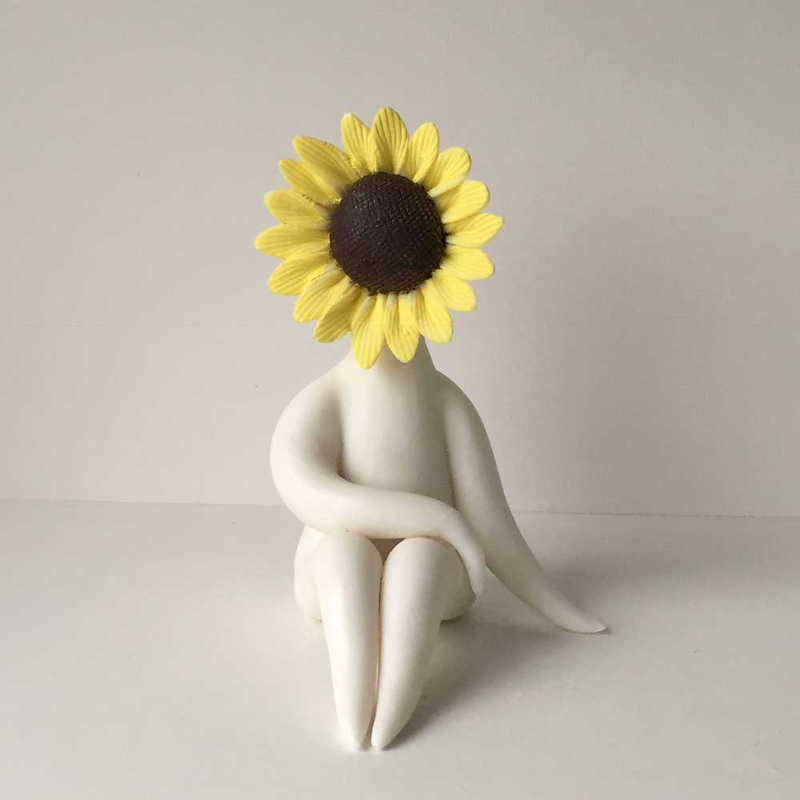 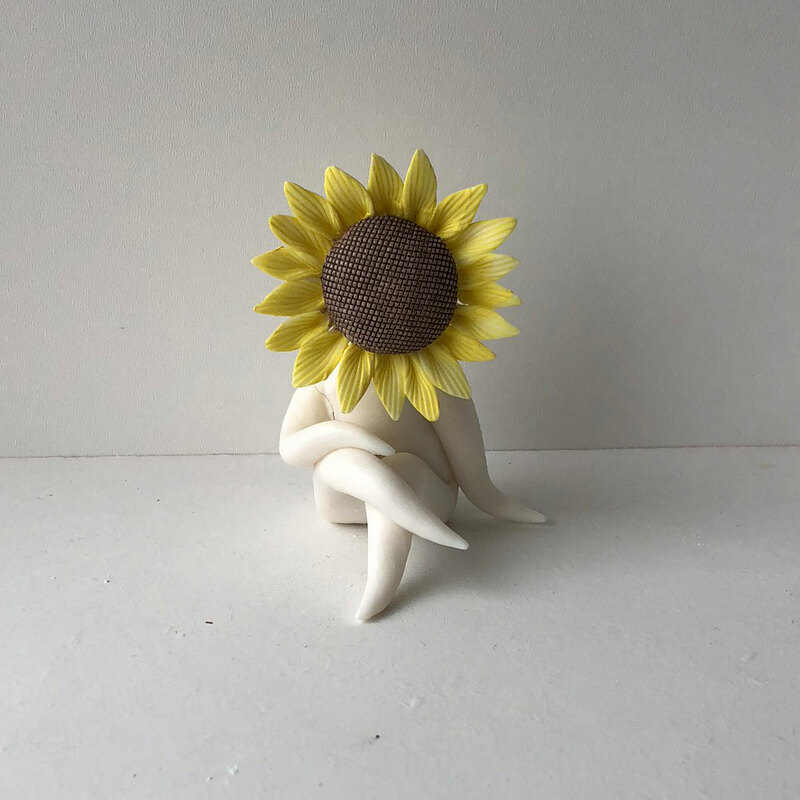 Mr Sunflower is handcrafted in parian clay with underglaze colour. 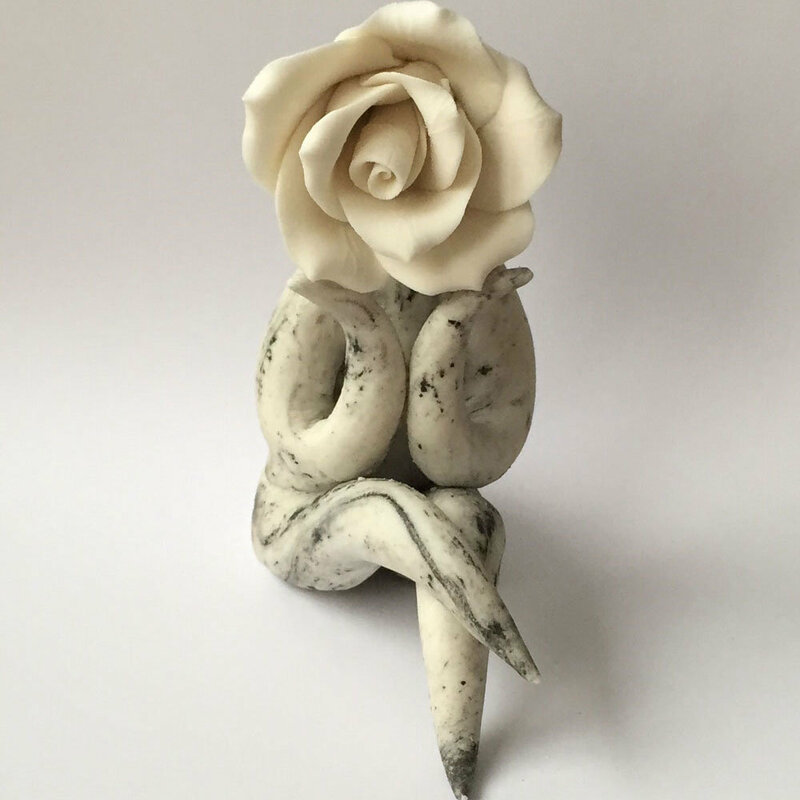 I tested glaze on this parian one so it does have a slight glaze finish. 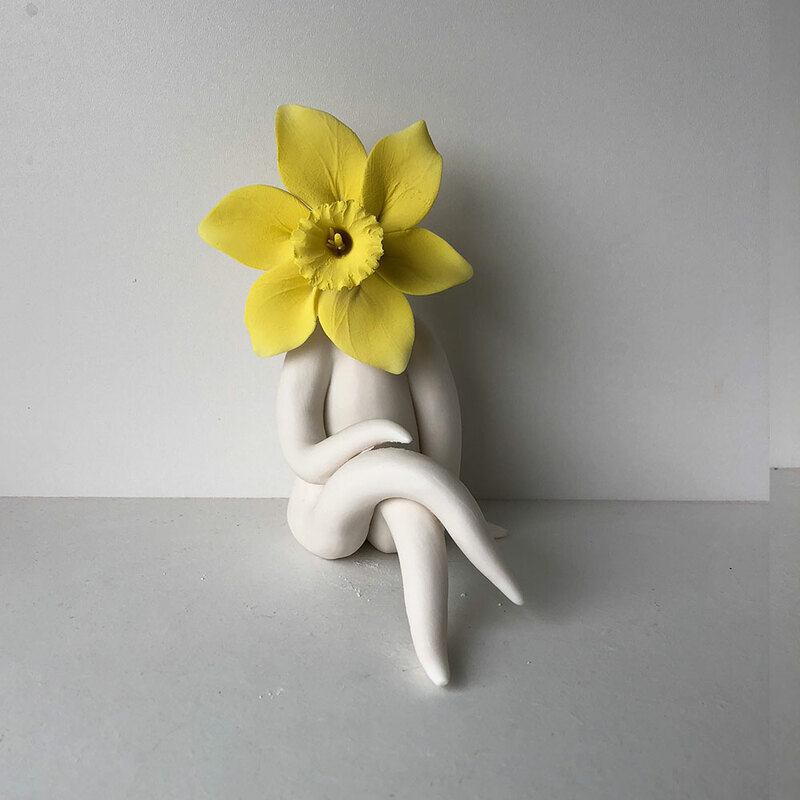 In between a minature and small.